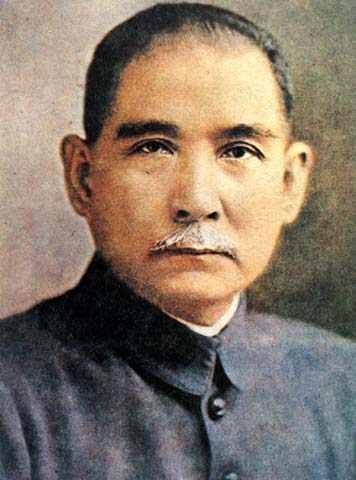 The national father of China democratic revolution and the first president of Republic of China - Sun Yat-sen published his famous Strategies for the Construction of New China in 1919, blueprinting China's rail network extending to the Qinghai-Tibet Plateau. Until mid 1940's, the Kuomintang (Nationalist) Government sent some engineers to explore the possibility of the construction of Gansu-Qinghai railway. After the founding of the People's Republic of China, the country's railway construction witnessed dramatic progress in 1950's. In 1956, the Ministry of Railway officially launched the primary planning of the project. In the summer of 1957, a 13-person team was dispatched to start the survey. The route design draft and part of the survey of Qinghai-Tibet railway has been done. The 97-km railway from Xinning (the capital of Qingahi Province) to Haiyan was opened in November of the same year. However, in 1961 the whole project had to be terminated as China encountered 3-successive-year natural disasters starting from 1958. The government couldn't afford to extend the railway any longer. the Central government decided to resume the project of Xinning to Golmud. The project was finished by Railway Corps of China's Liberation Army in 1979 and opened for civil use in 1984. The railway is the only one in the world built on the salt lakes, which means the first phase of Qinghai-Tibet Railway is ready. The survey work of the Second Phase (Golmud - Lhasa) was suspended due to the uncertainty of building the railway on permafrost at such a high altitude. 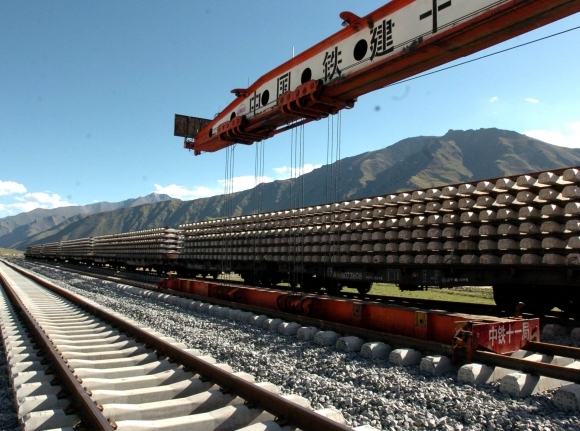 The State Council approved the Qinghai-Tibet Railway Plan. The project has been listed in one of "the four symbolic projects" as the Central government attached more importance to the development of the Western Regions ("Great Leap West" dubbed by some Western Media). On March 1, 2001 the construction work officially restarted. The railway building went through the highest point at Tanggula Mountain in August. On October 12, 2005, all the construction work was achieved. In March, a cargo train was launched to test the ride on the railway. In May, a passenger train took the test (without passengers). 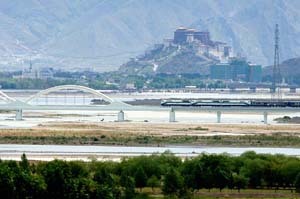 In July 1, 2006, the Qinghai-Tibet railway was officially opened for public use.